2/11 M-Block, Gulberg III, Lahore. A woman builds a family and families build a nation. When a woman falls into despair and dejection, it hampers the wellbeing of a family and if this starts happening at mass level, a society’s development is halted. This is happening to us as 40,000 women die of Breast Cancer every year in Pakistan. This is the time to save all these women because every woman matters. Unfortunately, we have a paucity of quality healthcare facilities for Breast Cancer patients despite the deep penetration of this disease in our society. 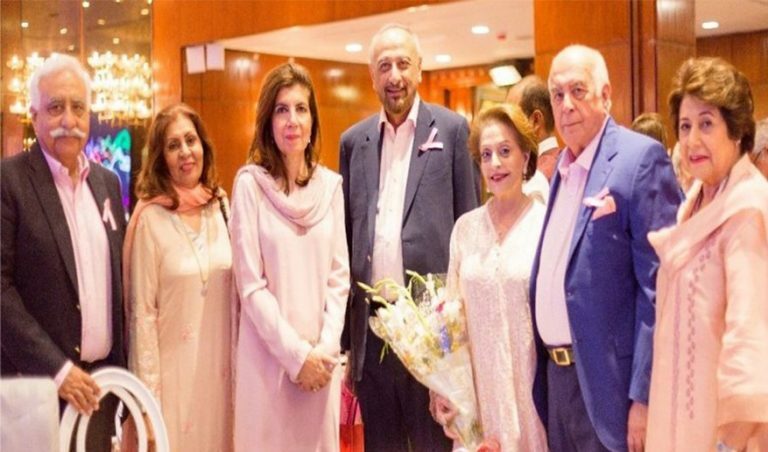 Pink Ribbon has taken a historic step in this direction and is building Pakistan’s First Dedicated Breast Cancer Hospital. Support us with your generous donations in completing the hospital. 10.2 million Pakistani women are vulnerable to Breast Cancer but this is not clear whose risk is higher and who can be spared. Thus, it puts every single woman at the cannon’s mouth. As a nation, this is our prime responsibility to play our part in eradicating this killer disease and reduce the female mortality. Join hands with Pink Ribbon and let us make it possible. It is our moral responsibility to contribute for the welfare and wellbeing of the society we live in. The diseases like Breast Cancer are major detriments for the development of Pakistan and there is a need of a panacea. No one else but we can be the change agents and the saviors to lift our women up from the ashes of misery and pain by making donations to the great cause of Pink Ribbon. Breast Cancer claims the lives of 40,000 Pakistani women each year. This is largely due to the lack of awareness and healthcare facilities. A majority of victims are diagnosed late and then they have no or limited access to proper treatment. Pink Ribbon is working hard to not only inculcate the awareness of this disease but also build a dedicated hospital to cure it. Help us making this dream true. The bomb of Breast Cancer is ticking and it can explode anywhere anytime and the victims are destined to go through a hell of pain and sufferings. This bomb can only be disposed of with early detection and adequate treatment of the disease and this is possible when we have in place up to the mark awareness and healthcare facilities. Pink Ribbon is the bomb disposal squad, capacitate them to continue their hunt. Breast Cancer is a serial killer that is at loose. It can prey on any woman anytime regardless of age, status and ethnicity. It may take on you while you are resting in your cozy homes or working at your dream offices. 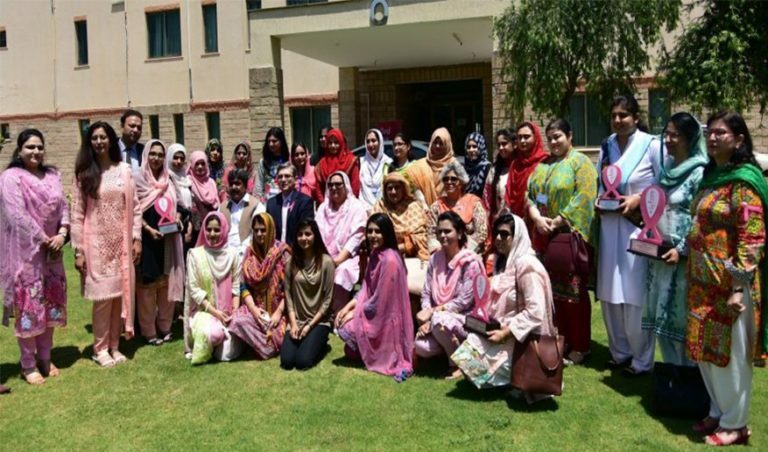 Pink Ribbon is striving to stop and catch the killer and save every 9th Pakistani woman who is at high risk of Breast Cancer. Let us save our flowers together. 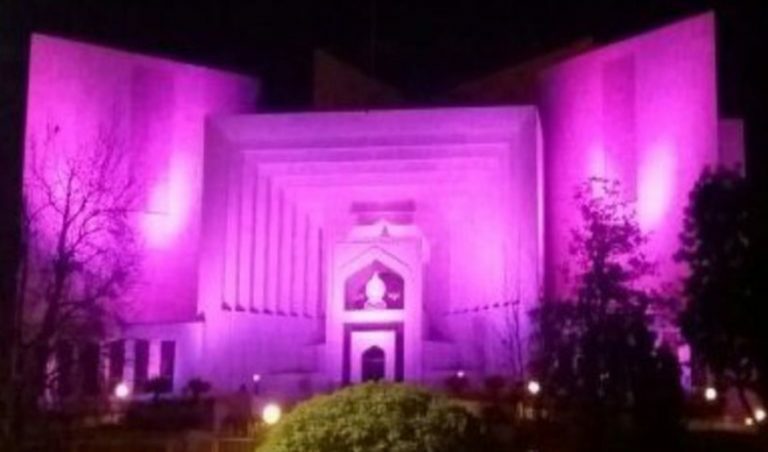 While you are enjoying your lunch at your cozy place, 5 women lose the battle of Breast Cancer in Pakistan. This is the number of women who die every hour due to this fatal disease. This is not stopping anytime unless we put our blood and sweat together in this fight. Pink Ribbon has taken up the cause to eradicate this disease once for all. Back us in this crusade and we will win the battle together.